The French Riviera and Monaco enjoy calendars full of events and festivals, both of which get better with each summer. A slice of Mediterranean paradise, the Cote d’Azur plays host to some of the world’s foremost yacht shows and regattas, which are enjoyed by those with a penchant for the high life. Luxury car rental in France offers a gateway to an invariably indulgent selection of experiences. This glamorous region offers some of the world’s best driving roads with most beautiful views. Luxury & Services provides prestige car rentals for every occasion; renting a glamorous, sleek and fast convertible would be ideal when visiting the yacht shows and regattas of the Cote d’Azur. We’ve paired an alluring supercar for each event, to ensure you arrive in ultimate style, comfort and sophistication. The Cannes Yachting Festival is Europe’s largest yacht show. Held across three phenomenal French Riviera sites – the ‘Vieux Port’, the ‘Port Pierre Canto’ and the "Palais des Festivals," located across the famous Croisette in Cannes – the event plays host to more than 550 boats on display, including more than 100 world premiere editions. Whether be it exhibitors showcasing their new vessels, service providers, or guests to the show, visitors travel from across the world to this international yachting festival to celebrate the exuberance and grandeur of this industry. A unique atmosphere presides over the show with the finest vessels on offer from shipyards around the world and with well-informed and enthusiastic visitors. The show is scheduled to take place from the 12th to the 17th of September 2017. Cruise down to the show in an Aston Martin Vanquish Volante and channel the glamour of the Cote d’Azur. The annual sailing regatta is a great time to visit St. Tropez as it makes the Riviera’s most exclusive hangout a whole lot more festive. For more than fifteen years, modern and traditional sailing yachts have gathered here to put on a remarkable show for nautical sports fans. The 19th Edition of Les Voiles de Saint-Tropez is fast approaching; yachting enthusiasts from all over the world will congregate to appreciate the beauty of the modern and classic vessels. Drive down to the old port in a comfortable Maserati Ghibli and witness a visual spectacle. With sails billowing in the first winds of autumn, these yachts compete in races that start at the Bay of St Tropez and heads towards Cannes. Set the 30th of September to the 8th of October aside in your diary, and drive to the Voiles de St Tropez. Monaco is a celebrated hub for the luxury lifestyle. 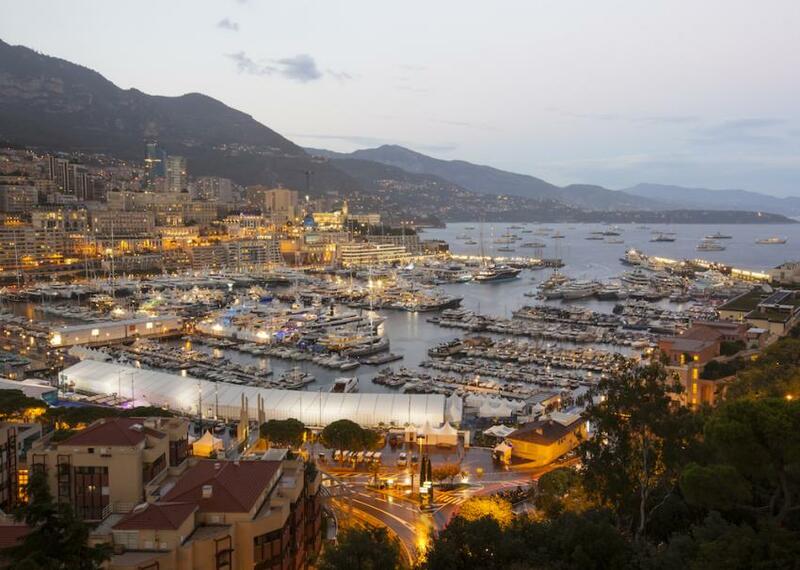 It hardly comes as a surprise, therefore, that the Monaco Yacht Show is one of the world's leading superyacht shows. It is exclusively devoted to superyachts for sale and charter of at least 25 meters in length. Nothing ever happens on a small scale in this Principality. In September 2017, the Monaco Yacht Show returns for its twenty-seventh edition at Port Hercules, bringing with it a great deal of excitement and anticipation. With over 30,000 visitors, hundreds of exhibiting companies, and some of the world’s biggest brokerages in attendance, one can discover the latest cutting-edge technology and designs used in the yachting industry. Here, you have to be seen in the best of supercars. It is therefore fitting to rent a Ferrari 488 Spider and drive down the city’s F1 roads to reach the port. One can commence their journey from the historically elegant town of Nice in a Jaguar F-Type S V8 Convertible, for a spectacular and unforgettable drive along the picturesque coastline of the Riviera to visit the glamorous seaside town of Cannes. Cannes is famous for being the home of the world’s most famous film festival. Drive along the iconic Croisette and admire the Palais des Festivals and its coveted 22 steps. The Régates Royales in Cannes is an indulgence for all sailing enthusiasts. What was once an event that royalty participated in is now one of the most prestigious fixtures in the international regatta season, and is reserved exclusively for classic and vintage yachts. The 39th edition of the Cannes Royal Regatta is scheduled to commence on the 23rd of September. One can watch a display of beauty, elegance, strength and competition in the yachts that compete for the prize.